Departed to Dataran Merdeka, Melacca. 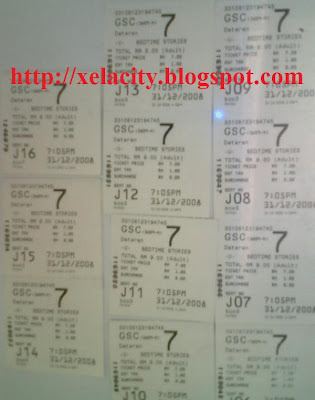 Watched movie together in GSC, Dataran Merdeka, Melacca. Planning to grab the discount from Baskin Robin, as well as eat Pizza in MP, Melacca. Went to Newton for dinner. Toward to JStreet for countdown. Reached JStreet, and started window shopping on whole street’s stall. Reached main stage in JStreet, and start countdown activities. Really playing wild during that time lol. Decided to leave JStreet and planned toward pub. Decided to find a place for eating, after noticed that pub closing. Settled down at Indian stall at Melaka Raya. Decided to switch place for eating, as the Indian stall servants keep ignored us. *Switched to eat fish-ball noodle. *Ordered myself Dry fish-ball noodle for my 2nd round eating… hehe..
Left Pantai Puteri and went to Bukit Beruang for Dim Sam. Don’t know why majority seem to be very energetic, and decided to continue celebration in GoGo KTV, jeti Malacca. Reached GoGO KTV, but they were still closing. Entered GoGo KTV, and be their 1st group of customer in Year 2009. 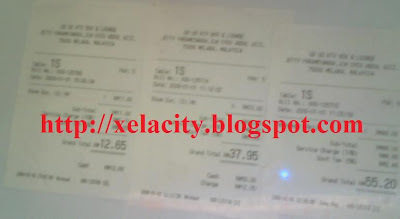 *GoGo KTV’s boss promised to give us 1 hour free seen we had became the 1st group of customer in year 2009 for them. Left GoGo and let traffic police caught as all back seats’ belt were not in used. Went to Batu Berendam and had 4 dishes dinner. Ended 2009 New Year’s Celebration officially.